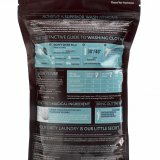 Categories: Essential oils, Home>Fragrance, Home>Laundry supplies>powder detergent, Laundry>biological detergent. 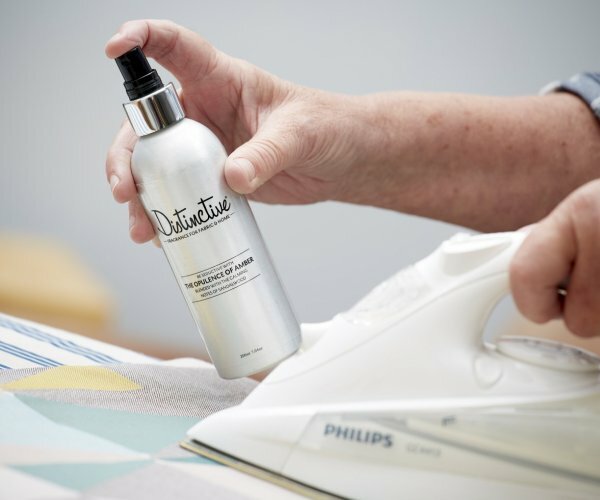 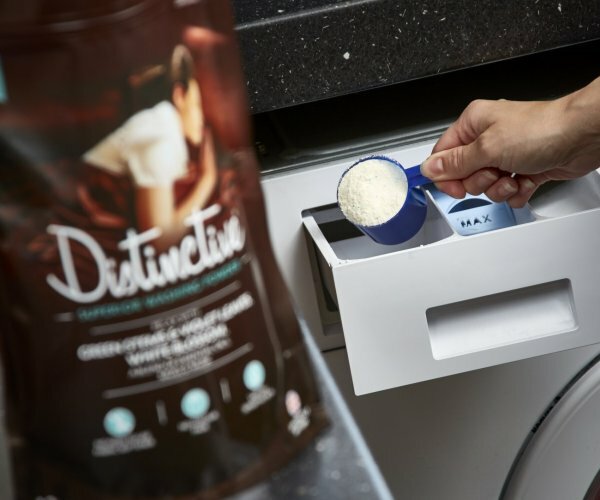 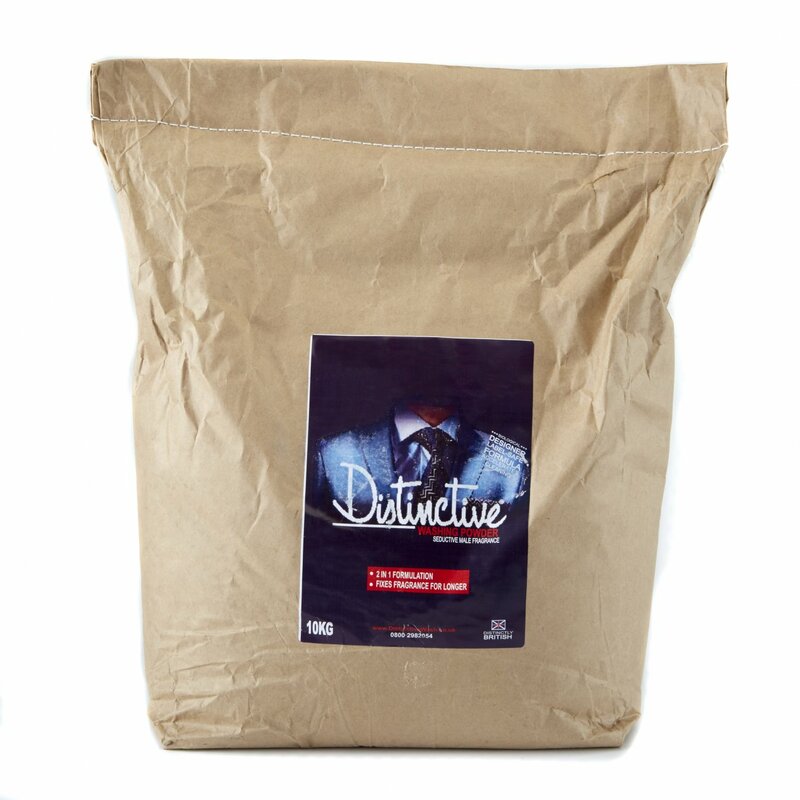 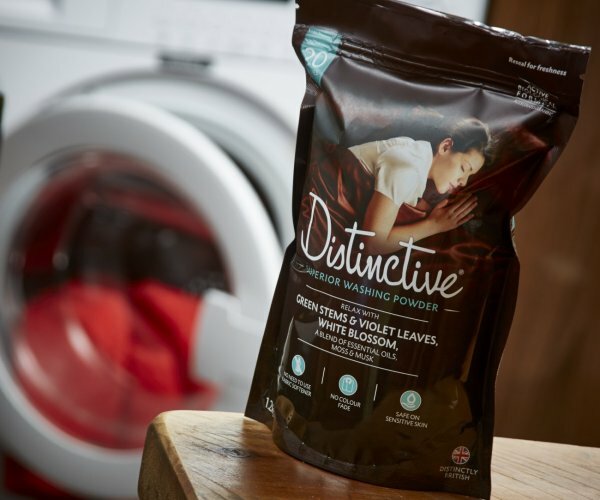 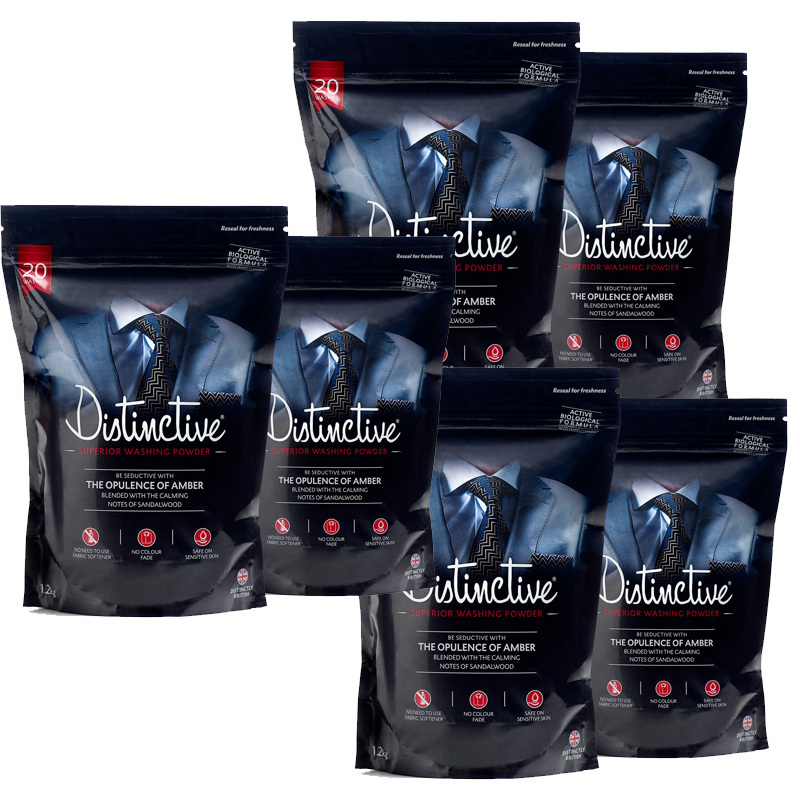 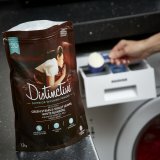 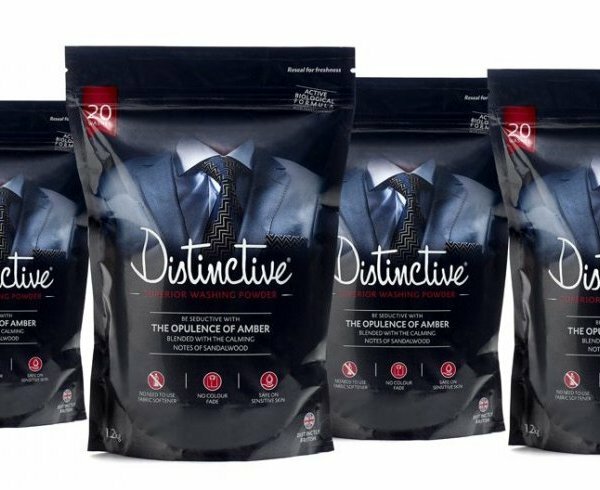 Distinctive is a superior washing powder with amazing fragrances. 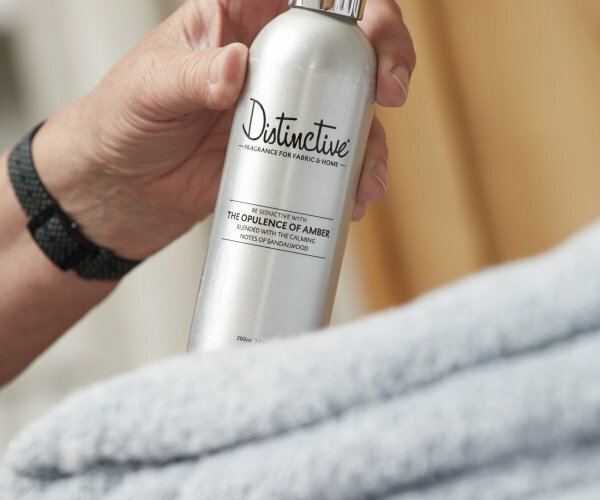 The Relaxing fragrance is a bright white floral combining green stem leaf notes and violet leaves, white blossoms, moss, and musk. 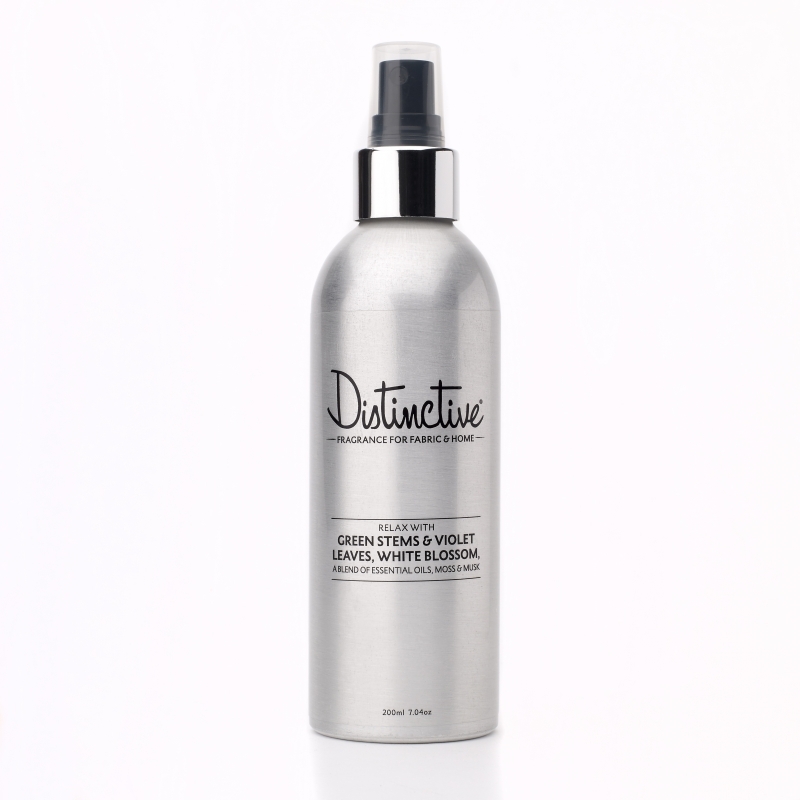 We use natural oils including bergamot, eucalyptus, jasmine, ylang-ylang, and patchouli. 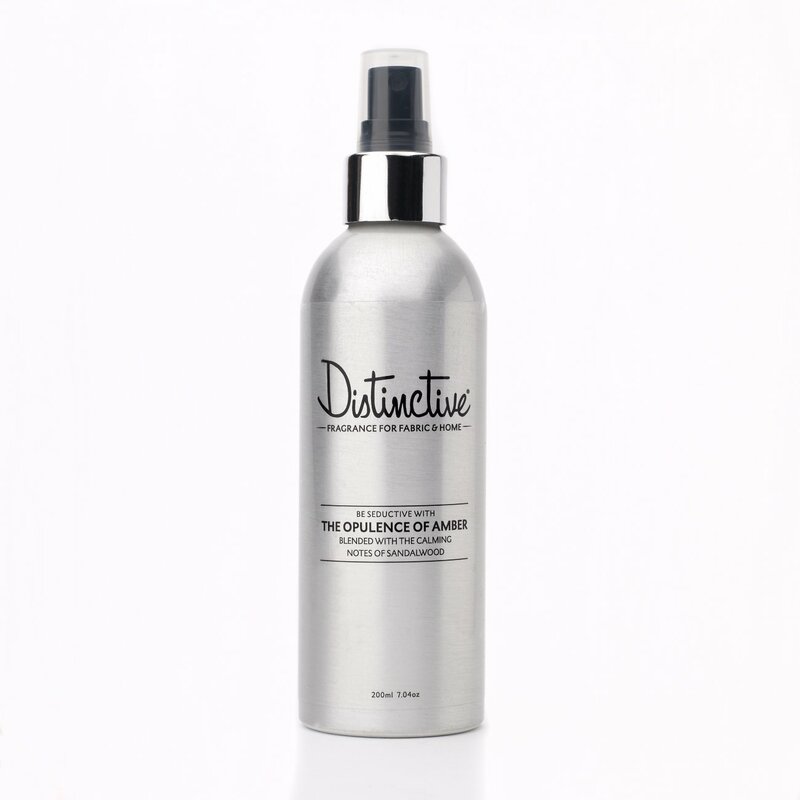 Enjoy a touch of calm, breathe deeply and relax! 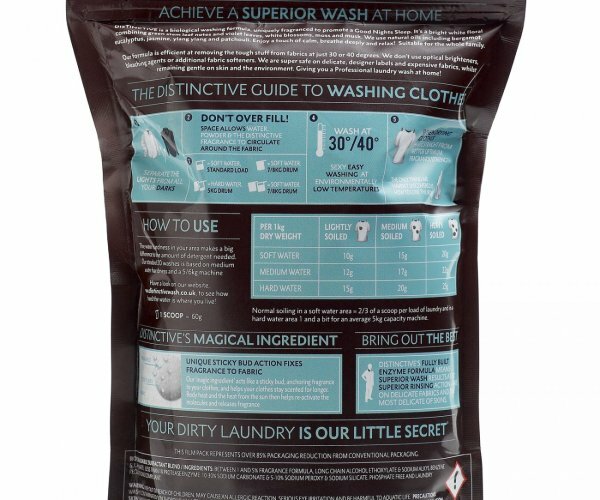 Suitable for the whole family’s load of laundry and bedding. 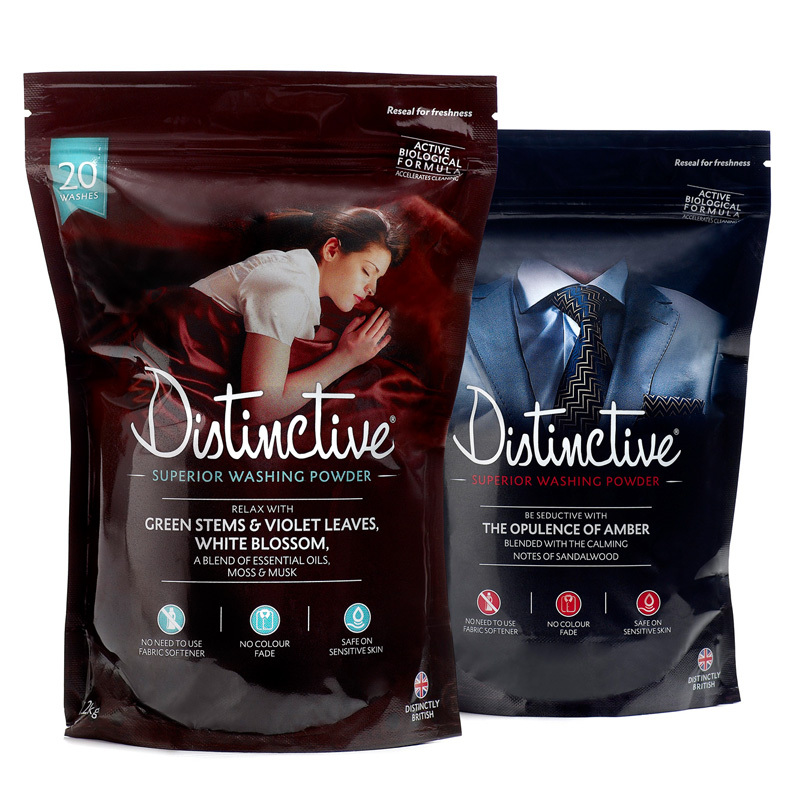 Enjoy our beautiful fragrance in your home. 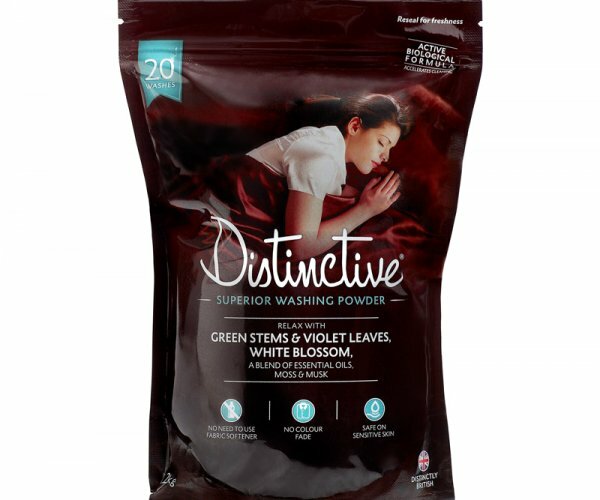 Endorsed by the British Sleep Council. 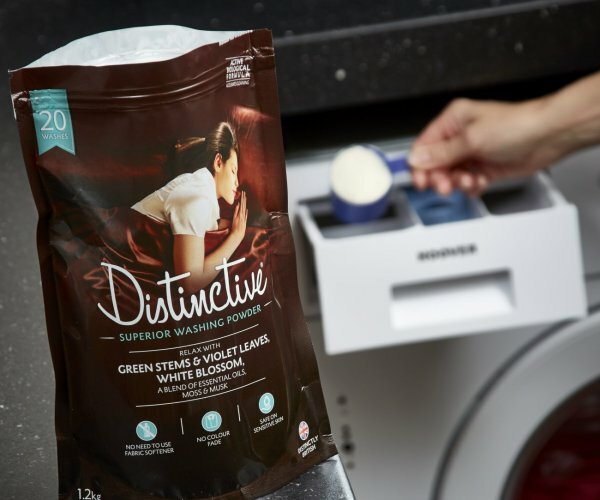 The specially formulated washing powder uses less water and heating to achieve a really deep down clean, without needing the addition of stain removers or a fabric softener. 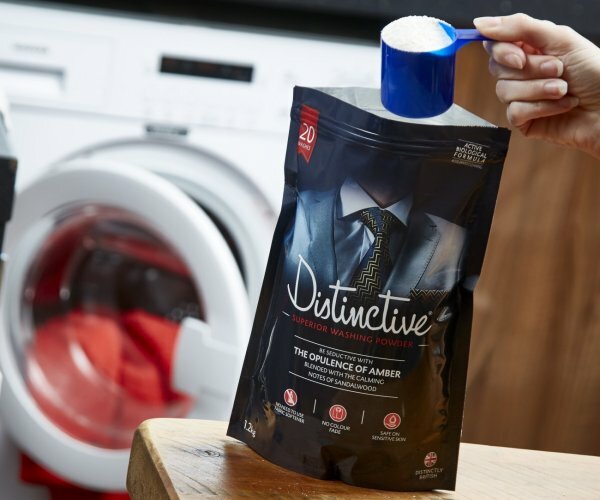 It contains active biological ingredients which work effectively at lower temperatures with modern washing machines.